The goal of rear foot canting is similar to front foot canting, but to some extent trickier to evaluate. Not only are you trying to restore mobility to the ankle joint, but, in conjunction with heel lift, you are trying to achieve balanced leverage between the toe and heel edges. If this geometry is not balanced, the board will be twisted while on each edge. Recall the earlier statement about the body seeking stability. Once under load, the bones will stack in their most effective relationship to one another. This may affect the relationship between the board and the snow, and not for the better. 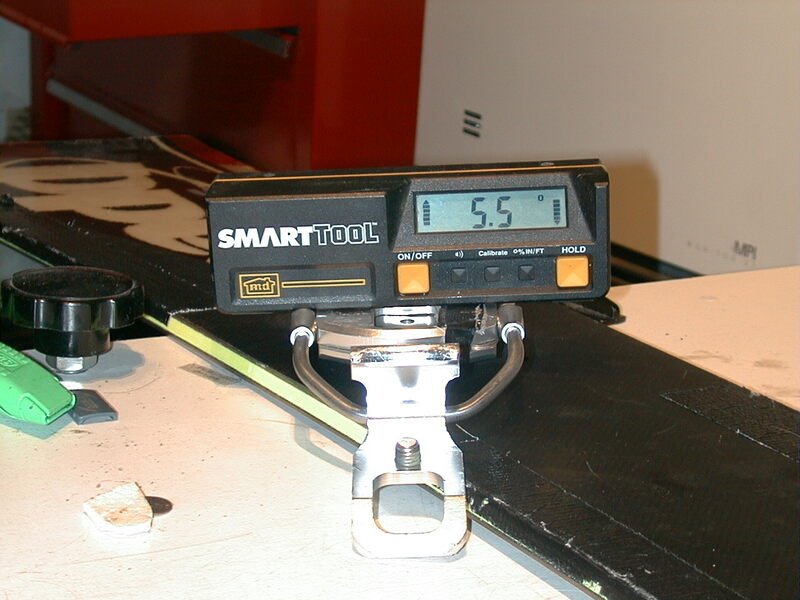 Typically, without canting, on a toe-side turn the rear end of the board will be on a higher edge angle than the front, and on a heel-side turn the front of the board will be on a higher angle than the rear. Speed-wobble, anyone? A starting point for rear foot canting is to put the knee joint under or slightly outside of that hip socket when standing with the hips facing the angle of the front foot. This may not work well if you ride with excessive splay angle. (More than say, 6 degrees). When the cant of the rear foot is properly set, you should be able to feel even contact against the corresponding cuffs of both the front and rear boot on both turns. It should be possible to initiate turns at slow speeds out of the feet more so than from the knees. 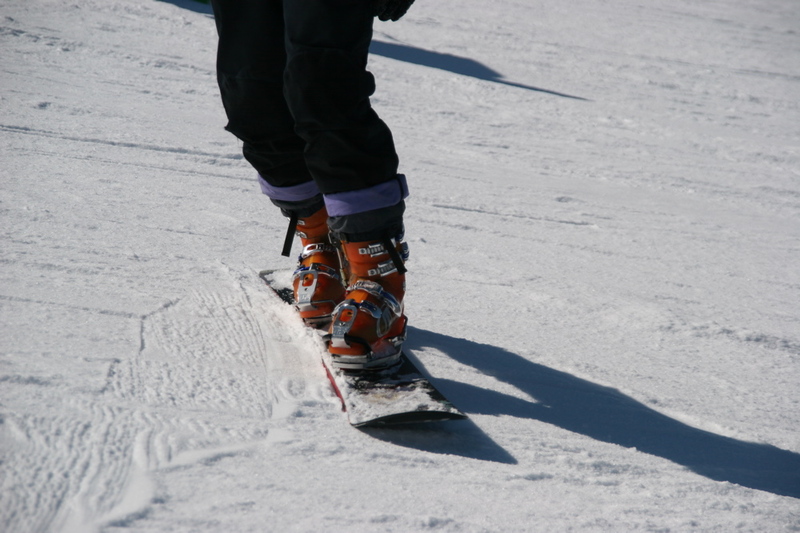 If you have your rear binding canted inwards, and the shin of your rear leg hurts, and you are unable to initiate a toe-side turn in the powder, you have no one to blame but yourself (or whoever suggested that inward cant of the rear foot was a good idea). Keep the heel lift, and gradually move the cant outwards.